Every girl has her handbag essentials. Lip balm, cell phone, concealer — and, of course, hair elastics and tampons/pads. These two products are always in our bags, as we never want to be caught without ’em. Thanks to a new promotion only at Target stores, you can get two of these handbag essentials at once – Buy U by Kotex at Target, and you’ll receive FREE Goody Hair Elastics! Text KOTEX to TARGET (827438) to get the coupon! Look for the tampons/pads in the little black box. To celebrate this new promotion, we’ve teamed up with U by Kotex and Goody to create a fun hairstyle tutorial. 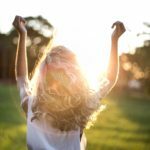 Be sure to have your Goody hair elastics on hand, because you’ll need them! Spray the hairspray all over your hair and comb through. This can be done as many times as possible so that you get that “rough” feeling, like you skipped a day of shampooing. If your hair is already a little dirty, even better! Don’t use as much hairspray if your hair is already dirty, since it can become sticky. Flip your head over! Brush the hair towards the front so that all your hair is completely upside down. 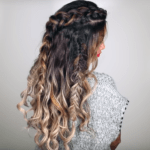 Braid the hair into a regular non-Dutch braid and secure the end with one of the Goody elastics. You are free to flip your head back into reality, or right-side up. 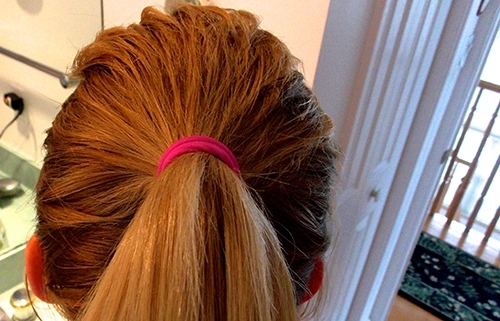 Use another Goody elastic and secure all of the hair into a normal ponytail. 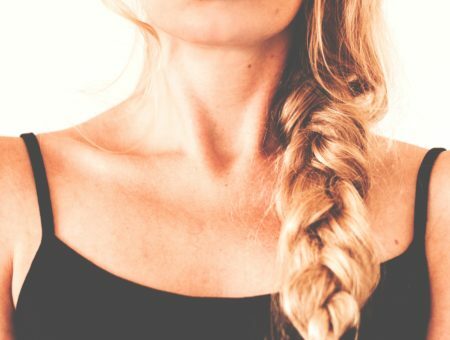 You can leave the braid intact until it’s in the perfect ponytail; that will make the process easier! 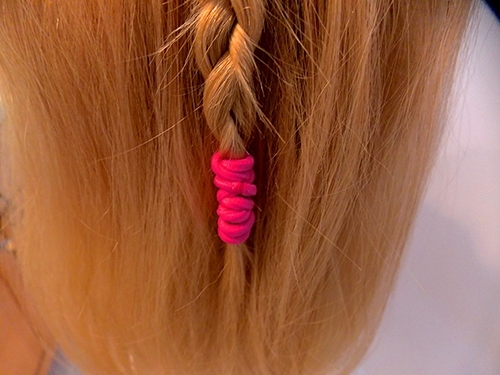 After the ponytail is done, you can take the elastic off the braid and set it aside. Here comes the interesting part. Make a sock bun! 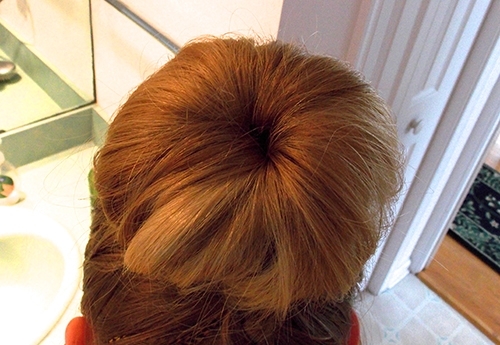 Put the hair donut or rolled sock on the ponytail and make sure all the hair is through the donut. Pull the donut up to about an inch below the end of the ponytail, and start rolling it down, tucking the loose hairs under. 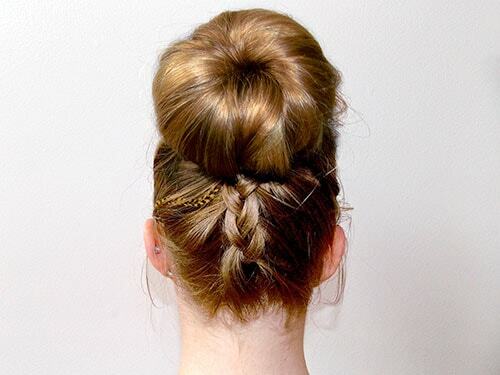 This is not meant to be a perfectly neat bun…just make it look casual and fun! Secure any loose hairs with bobby pins as needed. Use the Goody hair elastic you used earlier with the tiny braid and pull it over the entire bun to smooth everything down. 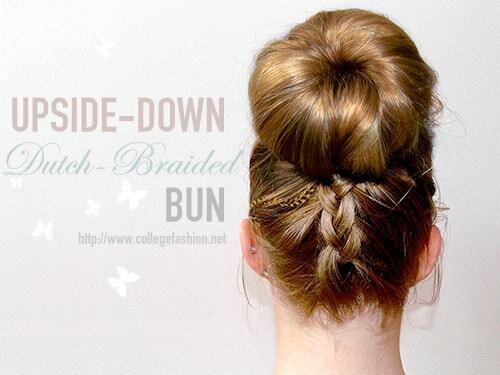 If you think the bun is already perfect without doing this step, then skip it! I needed to do this step since my hair is fine and tends to do whatever it pleases. Hairspray the whole thing. Smooth any crazy flyaways and spray the bun so that it won’t fall out for you! 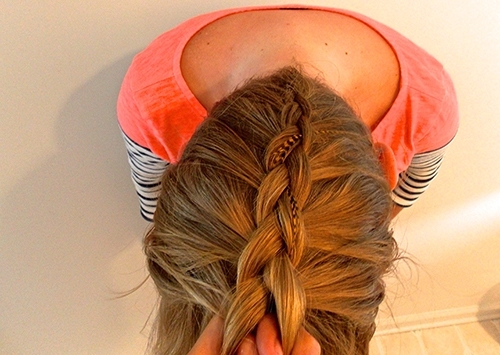 Show us your braided bun hairstyle! Hope you guys liked the tutorial! If you try it, be sure to take pictures of your hairstyle and use the hashtags #UbKGoody and #UbKbraidbun so we can see them! 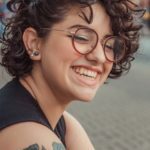 I would LOVE to see your braid buns! Post them to Instagram, Twitter, Facebook, or even Vine. And don’t forget the offer: Buy U by Kotex at Target, and you’ll receive FREE Goody Hair Elastics! Text KOTEX to TARGET (827438) to get the coupon. Disclosure: This post was sponsored by UbyKotex. The opinions, as always, are our own. For more information, please see our Disclosure page.